Hit the mall for deals on Black Friday. Get your online sales on Cyber Monday. 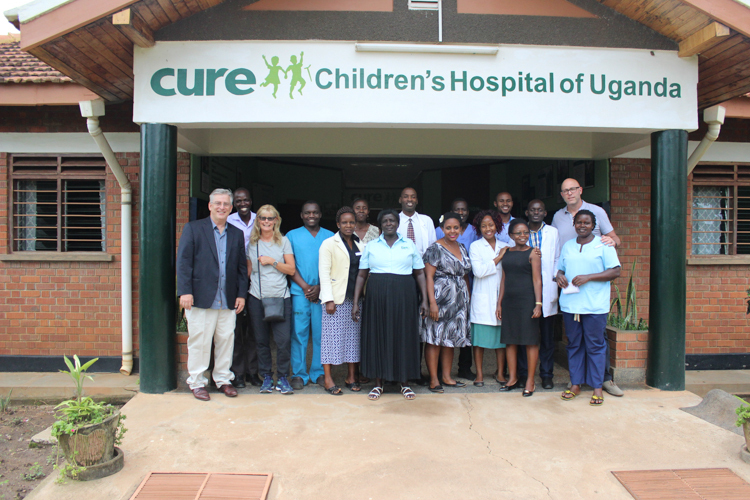 Then, on Giving Tuesday, take ALL that money you saved and join CURE on Facebook to raise funds for children awaiting life-changing medical treatments. Facebook is once again, generously matching contributions made to all US non-profits. On #GivingTuesday, if you donate $100, Facebook will match that amount dollar-for-dollar. There’s one caveat: Facebook has pledged up to $7 million, and while that’s quite a bit of money, we guarantee it will go fast. Hundreds of non-profits across the nation will undoubtedly participate, so it’s imperative that donors visit CURE’s Facebook page as close to 8 am EST / 5 am PST as possible! 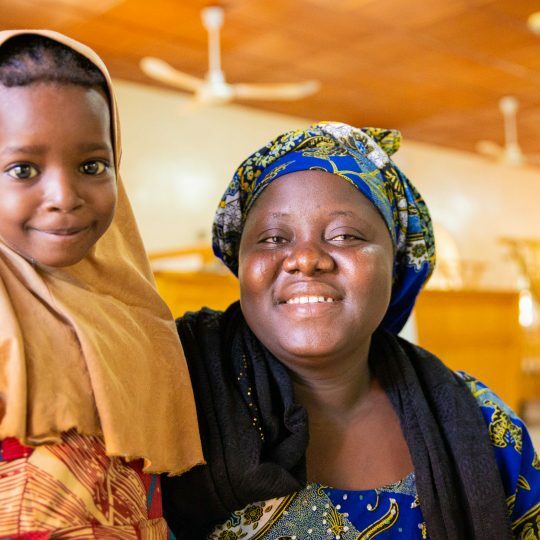 We’re excited about all the ways this event could help children get the treatment they need to thrive … children like Mahamadou from Niger, who lost the use of his hand when a severe burn caused his arm to contract. 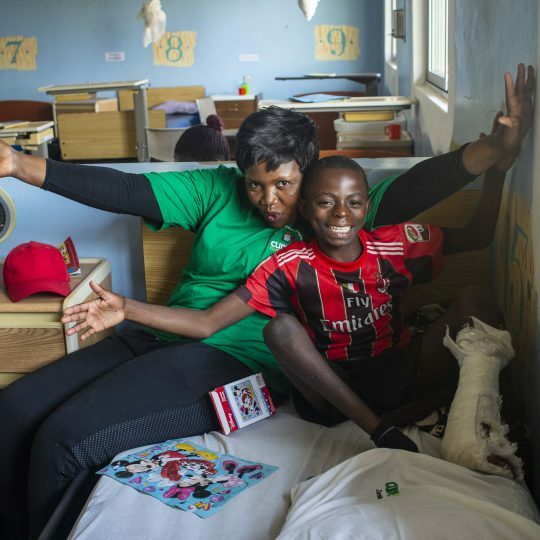 Because someone like you donated money to CURE, Mahamadou got the surgery he needed to heal his arm and restore function to his hand. 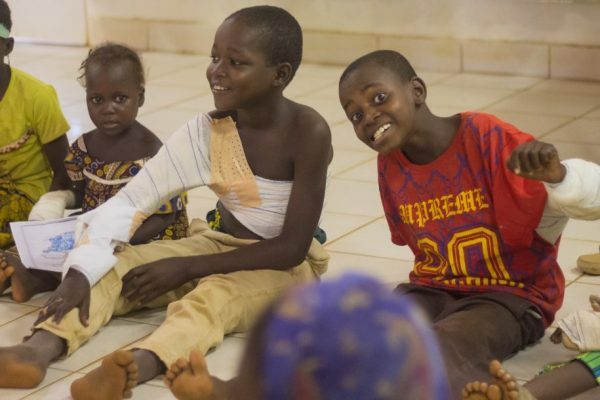 Mahamadou (center) is all smiles after his surgery to restore his arm. And that joy is contagious: in the seven years since the inception of Giving Tuesday’s, giving has increased substantially. Last year, contributors raised $274 million, a 55% increase from the year before! 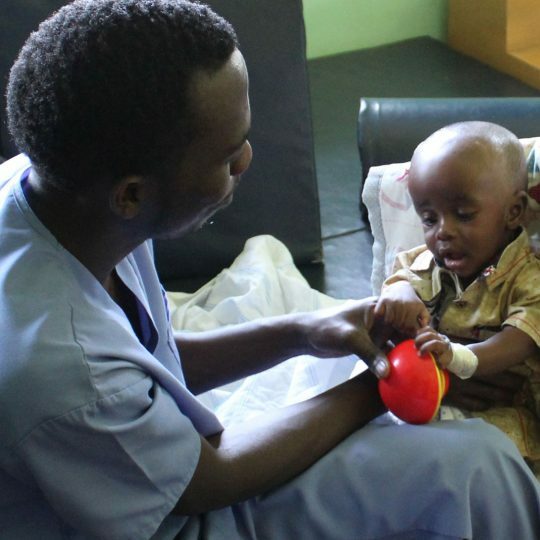 This November 27th, we want to raise as much money as possible to help more kids like Mahamadou. Two organizations, the 92nd Street Y and the United Nations Foundation, created this national day of giving in 2012 just a couple of months before Thanksgiving! The technology website Mashable announced the new initiative they called #GivingTuesday on September 13th, 2012. The average #GivingTuesday donation is $100, and the median age of donors is 25. The #GivingTuesday website allows participants to share giving stories that focus on the personal impact of a non-profit’s mission. Giving Tuesday has become a global movement, with almost every country in the world participating in one way or another. Because #GivingTuesday is still a relatively new concept, word about this national day of philanthropy hasn’t gotten around to everyone yet. Two years ago, a survey showed that while 93% of people are aware of Black Friday, only 18% are familiar with Giving Tuesday. We are counting on YOU to help us spread the word. Along with your donation, we’re asking you to grab a bullhorn and go tell it on the mountain, over the hills, and everywhere! Or, stay off the cold mountain and simply share the link to our Facebook fundraiser on your social media pages. 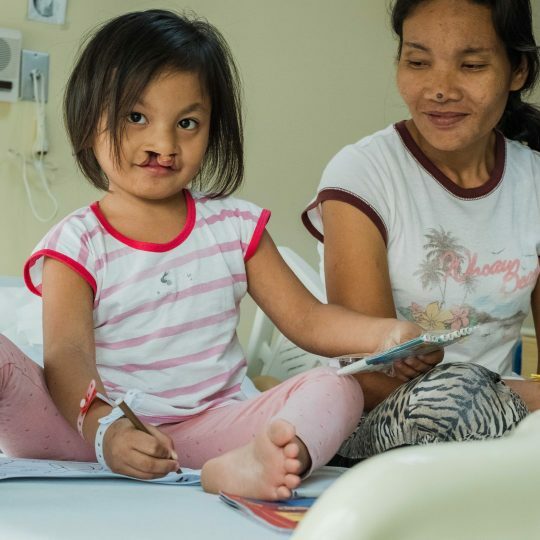 This #GivingTuesday, we hope you and your friends experience the extraordinary joy felt when you know that you helped a child in need get the best Christmas present ever: the gift of healing. 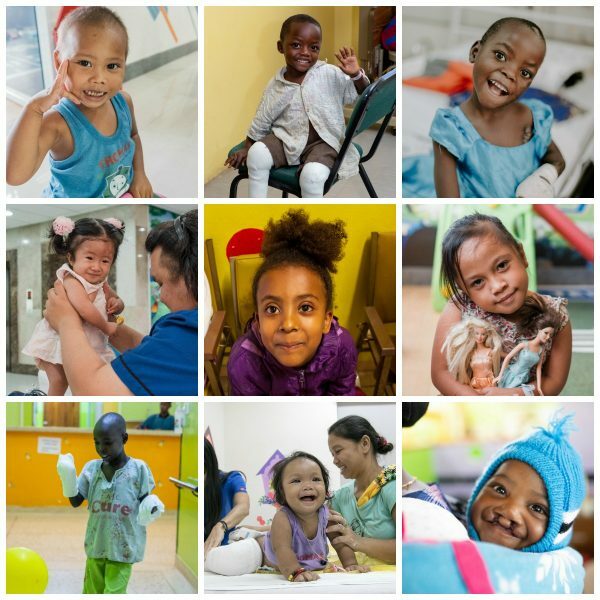 Thanks to donors like you, these kids received healing, and their families heard the Good News of Jesus Christ. There are still many more children waiting for help. Remember, the more money we earn, the more children we can help. So, thank you for spreading the word about CURE’s #GivingTuesday! The page is now live, but remember Facebook will only match your amount if you wait until tomorrow at 8am EST to give. To make your life easy, bookmark the page today for easy access tomorrow! Learn more about Facebook’s #GivingTuesday Match here. 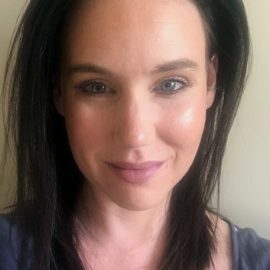 As a copywriter, Holly reviews, edits, and writes content to share with donors and those who want to hear incredible stories of physical and spiritual healing that come in from throughout the CURE network. Previously, Holly worked with numerous organizations and publications as a freelance writer. A reluctant “soccer mom,” Holly spends the majority of her spare time at her kids’ sporting events, where she reads novels and looks up on occasion. She refuses, however, to put the “soccer mom” bumper sticker on her otherwise very cool and trendy minivan.